The skin is divided in three parts: a) the epidermis is a multi-layered self renewing sheet of cells and forms the upper part of the skin, b) the dermis is the intermediate part and very rich in collagen, elastin , fibroblasts (cells producing collagen, elastin, etc) and inflammatory cells and c) the final third part which consists of large quantities of lipids and lipid cells. It is called subcutaneous fat, it is of great importance in thermoinsulation and functions as a nutritional store. The skin is the biggest (2m²) and one of our heaviest organs (4-5kg) in the body. It forms a protective barrier from germs and the environment, regulates our temperature and confers many of our senses such as touch, pain, cold and hot perception. The skin assumes a very important psychological role as it is central to one's self-image and how one communicates with each other. It is one of the commonest skin disorders that affects every age (but more frequent among adolescents). The causes are multiple and the approach is different according to the age and the initiating cause. Many local, systematic and light-based techniques exist. The need of regular follow up is important in order to prevent any relapses. A good treatment not only helps to stop disease activity but also to prevent and attenuate skin scars. It has been known since antiquity and affects around 2% of the population in the USA and Europe. There is a genetic predisposition and the relapses are closely related to one's psychological condition and some environmental factors such as infections, medication and alcohol misuse. 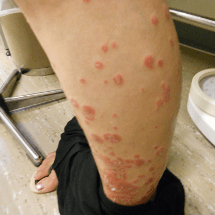 There is a revolution in the management of psoriatic patients and our therapeutic armamentum includes many local, systematic (pills, injections) and light-based techniques. 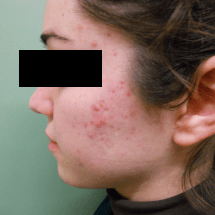 A very common skin manifestation with a prevalence of 10-20% in children and 2-10% in adults in western countries. There is a genetic predisposition and a strong environmental influence. Around 75% of children with atopy will improve until late adolescence. There is a connection between atopic dermatitis, asthma and hey fever. A good collaboration of parents and the doctor is needed in order to relief children from the annoying symptoms of atopic dermatitis. Fungi are organisms that are found everywhere around us. Many of them are beneficial for humans and others are pathogenic. Children are usually affected from different kind of fungi than adults. The immunity status of an individual, excessive moisture and antibiotic use, all are some of the factors that influence the appearance of fungal infections. Ringworm (dermatophyte) and yeasts (Candida) are the two fungal families responsible for the majority of the cutaneous fungal infections. A frustrating condition for men and women especially for the latter. There is a wide variety of causes and the pattern of the alopecia usually reveals the overlying cause. Thus, early recognition and correct diagnosis from an expert are very important in order to choose the correct therapy which varies a lot depending on the cause. Two frequent types of alopecia are the androgenetic alopecia and alopecia areata (oval patches of alopecia). Their cause, treatment and prognosis are different. 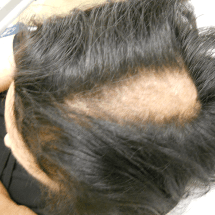 Nowadays numerous solutions exist in the management of alopecia. It is a process caused by intrinsic (genetic) and extrinsic (environmental) factors. People's demands on improving signs of aging are increased a lot during the last decades. Many different approaches exist that can be tailored to one's needs. The most demanded products include hyaluronic acid and botulinum neuromodulators ('botox'). Fillers, mesotherapy, neuromodulators, peelings and photorejuvenation, alone or in different combinations, can ameliorate the signs of aging and improve one's social life. It is important to use approved and safe products and treat with modesty according to each patient's age. Solar damage, irradiation, chemicals, immunodepression and genetic predisposition all contribute in a different manner in the appearance of skin cancers. An expert dermatologist is familiarized in early recognizing precancerous or cancerous lesions and can suggest the correct therapeutic approach. Actinic keratosis is a precancerous condition very frequent among people that are sun-exposed for many years. It can lead to a certain type of carcinoma called squamous cell carcinoma. 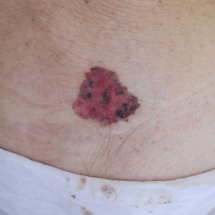 Other type of cutaneous cancer is basocellular carcinoma (the most frequent cutaneous malignancy in the elderly) and melanoma, a malignancy that affects a relatively young group of patients (average age about 50 years). Patients that have the predisposing factors mentioned above, must have a regular follow up from a dermatologist. 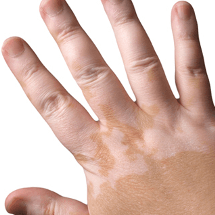 The incidence of vitiligo is 1:100-200 with the age of onset usually between 10 and 30 years. The prognosis varies, according the localization and the duration of the disease. 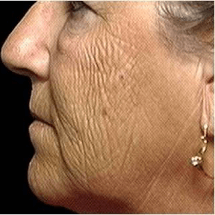 The treatment is difficult but there are therapeutic methods, by expert dermatologists, with very good outcomes. Cyprus is an island characterized by its warm and sunny weather throughout the year. The sunny days are almost 300 per year. This is beneficial in many ways but has some disadvantages, concerning a premature photoaging and a risk of higher incidence of precancerous and malignant skin lesions. So it is important to know about the beneficial and harmful power of the sun and improve our behavior concerning sun exposure.